Educational Services - Yaioa: Do more with your all in one account: Gift, Gas, Job! Everything you need to know about a Education, the Career and it's Services. Educational simply means providing education for people or something that is intended to educate people. While education is the process of facilitating learning or the acquisition of skills, values, beliefs, and habits. Whenever we hear the word education, the first thing that comes to our mind is school. We often think of education as what the teachers and students do in school but we forget the fact that what takes place in school is only a small fraction of education. Education is the process that starts immediately a person is born and ends when he dies. The educational process involves a lot of activities which several people like the parents, teachers, government, students, and every citizen of the country take part in. They all participate in the educational process one way or another. Teaching is the key factor in education and learning is another. The first teacher a child ever has is his parents and his learning process starts as soon as he enters the world. Education is a continuous process of growth. It is meant to develop both the individual and his capacity for social living. Indeed education is the process of developing knowledge ability in learners so that they can use this knowledge to improve themselves and their society. There are so many different educational methods which we can learn from and they are; teaching, storytelling, discussion, training and directed research. This method comprises the principles and ways used by a teacher to enable student learning. For a teaching method to be suitable and efficient, it must be in relation to the quality of the leaner and the type of learning it is expected to bring. As a teacher, your choice of teaching method solely depends on what suits you. The approach of teaching or teaching theories can be organized into four categories i.e. a teacher-centered approach, a student-centered approach, a high- tech approach, and the low- tech approach. In the teacher center approach to learning, teachers are the main authority figure in this model. Students are seen as” blockheads” who passively receive knowledge from teachers via lectures and direct instruction with an end objective of positive results from testing and assessment. Teacher’s main role is to pass knowledge and information to their students. In this type, teaching and assessment are seen as two separate entities and a student’s learning is measured through objective score tests and assessments. Different teaching styles used by a teacher in a teacher-centered approach. This is generally known as the traditional teaching strategy that relies on direct teaching via lectures and teacher-led demonstrations. Direct instruction utilizes passive learning and the idea that students can learn through listening and watching accurate instruction. In this style, teachers utilize systematic, scripted lesson plans. Direct instruction is low tech i.e. teachers relies on the use of textbooks and workbooks instead of computers and other learning devices. The flipped classrooms idea began in 2007 when two teachers started making the use of software that would let them record their live lectures. This flipped classroom broadly describes the teaching structure that let students watch pre-recorded lessons at homes and also allows them to complete their assignments. This flipped classroom model allows students to work at their own pace if the teacher chooses to implement it. At times, some teachers assign the same videos to all students, while some may choose to allow students to watch new videos as they master topics. Kinesthetic learning is often known as tactile learning or hands-on learning and it is based on the idea of multiple intelligence requiring students to create. In this type of learning, students perform physical activities rather than listening to lectures and watching demonstrations. The use of drama and sports, hands o experience, drawing, role-play and building are examples of kinesthetic classroom activities. Even though kinesthetic learning is a great way to keep students engaged and awake it is not employed by most classrooms. It is not based on technology because it values movement and creativity over technological skills meaning that it is cheap and fairly low-barrier to adopt. In the student-centered approach to learning, teachers and students play an active role in the learning process. The main role of a teacher is to coach and facilitate student learning and overall compensation of material. Student learning is measured via formal and informal forms of assessment such as group projects, student portfolios, and class participation. In the student-centered approve learning, teaching and assessment are connected because student learning is continuously measured during teacher instruction. This is the teaching practice whereby instructions are tailored to meet the needs of all learners. Teachers can differentiate in many ways like how students access to content, the type of activities students do to master a concept, what the end product of learning looks like, and how the classroom is set up. Examples of differentiation include: having students read books at their own reading levels, offering spelling lists to students, and meeting in small groups to reteach topics. Even though differentiation is focused on individual student needs, it is mostly planned and implemented by the teacher. Inquiry-based learning is a teaching method that sees a teacher as a supportive figure who provides guidance and supports for students throughout their learning process rather than an authority figure. The teacher acts as a facilitator or delegator or even a personal model. The teachers encourage students to ask questions and consider what they want to know about the world. Students can then research their questions, find information and sources that explains major concepts and solve problems they may encounter along the way. During the inquiry cycle, all students work on different questions or topic thus making the teacher to ask high-level questions and make research suggestions about the process rather than the content. And at the end of the inquiry cycle, students reflect on the experience and what they’ve learned. This type of learning makes use of technology via social media, online research sites, and the possibility for global connection with other people outside the community depending on the subject at hand. In this type of learning, students go on expeditions and engage in an in-depth study of topics that impact their schools and communities. The learning in this style includes multiple content areas so that can see how problem-solving can happen in their own world. For example, a student in a big city might study statistics about pollution, read information about its effects, and travel to sites in their city that have been impacted by the problem. Students and teachers work together to find out a solution they can actively implement when they have a good understanding of the circumstances. Expeditionary learning uses technology like G Suite which includes Google Docs, Sheets, and Drive and with the help of internet access, it can aid student research, presentation, and implantation of projects. This type of learning is still evolving and teachers allow students to follow personalized learning plans that are specific to their interest and skills. Schools and classrooms that apply personalized learning make use of competency-based progression, so that students can move into the next topics when they’ve mastered what they’ve learned. In that way, students in the personalized learning classrooms can advance to work past their grade level as they master topics, and students who need additional help have that time built into their daily schedules as well. Teachers also need to know how to use technology and be comfortable with it so that they can navigate virtual platforms with ease. Game-based learning actually comes from the desire to engage students in more active learning in the classroom thus requiring students to be problem solvers and use soft skills that they will need as adults. Games are the best way to encourage a “mastery” mindset, rather than a focus on grades. In this type of learning, students work on quests to accomplish goals ( learning objectives )by choosing actions and experimenting along the way. As students make some achievements, they earn badges and experience points, just like they would in their favorite video games. This type of learning needs a lot of time and planning on the teacher’s part. Softwares like 3DGameLab and Classcraft makes the process of this learning easier. Game-based learning is not completely student-centered because a teacher plays a big role in planning and creating content in this model. Nevertheless, it is still much student focus because students also work at their own pace and make independent choices in a gamified environment. Because of the advancement in technology, the education sector has propelled in the last few years. High Tech approach to learning makes use of different techniques to help students in their classroom learning. Many educators make use of computers and tablets in the classroom, and others may use the internet to assign homework. The internet is very useful in a classroom setting because it provides unlimited resources. Some teachers can also use the internet to connect their students with people from around the world. Examples of tech tools used in a classroom are; G Suite( Gmail, Docs, Drive, and Calendar), Tablets/laptops, Gamification software( 3DGameLab and Classcraft), Education-focused social media platforms, and technology for accessibility for students with disabilities. Even though technology has undoubtedly changed education, many educators tend to use a more physical presence and interaction between the educator and the student. Some research has even shown that low tech classrooms may boost learning for example students who take handwritten notes have better recall than students who take typed notes. Also, students using technology are exposed to spell check and autocorrect features at an earlier age may be weaker in spelling and writing skills. Storytelling is the social and cultural activity of sharing stories, sometimes with spontaneity, theatrics, or exaggeration. Storytelling is also the process of using fact and narratives to communicate something to your audience. Some stories are factual, and some are embellished in order to better explain the core message. Telling a story is like painting a picture with words. Stories are shared through paintings, books, carvings, sculptures, drawings etc. Storytelling is a way of sharing and interpreting experiences. Storytelling can be used as a method to teach ethics, values, and cultural norms and differences. Learning is most effective when it takes place in social environments that provide genuine social sign about how knowledge is to be applied. Stories act as a tool to pass on knowledge in social context. Human knowledge is based on stories and the human brain consists of cognitive machinery necessary to understand, remember and tell stories. Stories mirror human thought as humans think in narrative structures and most often remember facts in story form. Through stories, one can learn how to organize their mental representation of a story, recognize the structure of language and express his or her thoughts. Stories are powerful educational tools because listeners become engaged and therefore remember thus storytelling is seen as a foundation for learning and teaching. A discussion is a process of talking about something in order to reach a decision or to exchange ideas. It can either be a debate or a speech. One can actually learn from a discussion especially a debate. You can learn from discussing with your friends, teachers, neighbors and even colleagues at work. This is the teaching or developing in oneself or others any skills and knowledge that relate to specific goals of improving one’s capability, productivity, capacity, and performance. There are different types of training and they are; physical training which concentrates on mechanistic goals. Training programs in this area develop specific skills. Job training is another type of training which a trainee uses tools like documents, equipments that help them in their training sessions. Religious and spiritual training is also another type of training which refers to the purification of the mind, heart, understanding, and actions to obtain a variety of spiritual goals. All these types of training assist us in learning one thing or another. Research is creative and systematic work undertaken to increase the stock of knowledge such as knowledge of humans, culture, and society and this knowledge is used to devise new applications. Research is also used to establish facts, reaffirm the results of previous work, solve new or existing problems, support theorems and develop new theories. Research helps students and prepares them for future jobs or reports. There are different forms of research i.e. scientific, humanities, artistic, economic, social, business, marketing, practitioner research technological research and many more. Like I earlier said education goes beyond what takes place within the four walls of the classroom. Children can get an education from their experiences outside the school. There are three main types of education namely; formal, informal and non-formal education. Formal education also called formal learning usually takes place in the premises of schools where people can learn basic, academic or trade skills. Little kids attend nursery or kindergarten but formal education often begins in elementary school and continues with secondary school. Examples of formal education are; Learning in a classroom, school grading/certification, college and university degrees, planned education of different subjects having a proper syllabus acquired by attending the institutions. It has a syllabus and it is subject oriented. The syllabus has to be covered within a specific period of time. An organized educational model and up to date course contents. Immediate and final assessments are ensured to advance students to the next learning phase. It leads to a formally recognized certificate. At times, brilliant students get bored due to the long wait for the expiry of the academic session to promote to the next stage. The chances of adopting bad habits are high due to the presence of both good and bad students in the classroom. Some unprofessional and non-standard education system may lead to time and money wastage of the students. Formal education is costly as compared to other forms of learning. This type of education may be a parent teaching a child how to prepare a meal, wash clothes or how to ride a bicycle. Individuals can also get informal education by reading many books from a library or educational websites. This type of education is when you are not studying in school and do not use any particular learning method. Informal education is neither pre-planned nor deliberate. It may be learned at some marketplace, hotel or at home. Informal education consists of experiences and actually living in the family or community. There is no set of curriculum required in informal education. Examples of informal education include; teaching the child some basics like numeric characters, someone learning his/her mother's dialect etc. No fees are required as we get informal education via daily experience and by learning new things. You can get informal education from many sources like media, life experiences, family, friends etc. Information acquired from the internet, social media, TV, radio or even conversations with friends and family members may lead to the disinformation. Utilized techniques may not be appropriate. The absence of discipline, attitude and good habits. Non-informal education consists of adult basic education, adult literacy education or school equivalency preparation. In this type of education, someone who is not in school can learn literacy and other basic skills or job skills. Examples of non-formal education include; fitness programs, swimming, community-based adult education courses, and free courses for adult education developed by some organization. Naturally growing minds that don’t wait for the system to amend. It is an open-minded educational system in which both the public and private sector are involved in the process. Attendances of participants are usually unsteady. Basic skills like reading and writing are difficult to learn. Sometimes it is a waste of time since there no exams are conducted and no degrees/diploma is awarded at the end of the training session. Some institutes provide fake certification through online courses just for the purpose of earning money. Education is not just how to read and write but we should use education for our own advantage and utilize the knowledge for our growth. Education is very important for every individual who wants to live a good life. To be respected in society, you have to be educated. To live a happy and a prosperous life one need to study so that he/she can obtain a good job to be successful in life. Education helps in earning money and fulfilling the necessary needs of life. With education, one can grow in their career and fulfill their dreams. Education allows us to set standards in life. It provides wise knowledge about the results of a wrong decision and helps to find alternative ways. Children are the future of the world that’s why they need education so that they can be updated with current affairs. Children are the pillars of the nation; they are the weapons to build the nation with their knowledge and education. Education helps children to build goals at an earlier stage. While learning, the child will understand and learn things that will help him in the future. Education is very important for modern society. Education is the right process to transfer culture to modern society. It can mold a person into a complete leader with all the human emotions, values and heritage. The following points show why education is important to society. Education helps in promoting the national interest of a country. A society that highly educated has a critical intelligence of an exceptional order. Moreover, educated people in society have the wisdom and knowledge to work for the betterment of the country. They work in all manners to protect the national interest of the country. The stable economy of the country is often related to education. The educated people in the country can become scientists, entrepreneurs, doctors, writers, and engineers who intend can help in the economic development of the country. Literacy refers to the ability of a person to read and write. Literacy is important for both children and adults. The higher the literacy rate, the higher the growth of the country. The educational activities boost the creativity of students. Education allows students to apply their skills in creative ways and to become more professional. With these creative acts of students, they can easily achieve their goals. An educated person is aware of his rights and responsibilities. The educated citizen is aware of his consumer right, right to vote, right against exploitation by the employer etc. Education produces civilized and well-civilized citizens. Educated people incorporate good ideas and can go for betterment in life. Educated people are always curious to learn new things in life. They want to strive to know and understand different cultures. Education helps in building the character of a person. The teachers/instructors make attempts to give their students a moral outlook. With a good education, a person can earn a livelihood. It is certain that employment does not only depend on scholarly achievement alone but also depends on the economic development of the country. However, an educated person can get a good job with a smart income to earn his livelihood. Because of education, research work has been carried out in different field of life. Without education, researchers won’t have been able to carry out their research. Technology has evolved over the years and has increased learnability in both students and teachers. There so many tech tools teachers can use to teach their students and one of the tools are apps. These apps can be used on either smartphones or tablets. There are so many apps out there for teachers and students to use and become more organized. These apps can let teachers teach lessons in a better way, manage their classrooms well and communicate with parents. For teachers looking for the best apps to download, below are some of the apps. Teachers love to turn boring lessons into games to motivate their students, but not everyone has the ability or skill to make a game from scratch. This kahoot app makes it easy to turn your class into a game show. The app has fun learning games and quizzes for teachers to set up for their students. This makes learning a more fun experience for both teachers and students. Teachers can teach lessons through exciting learning games and can even set up live games with students. Students can also challenge other students in competitive games to teach each other the lessons thus making homework more exciting. With this app, teachers can provide concrete examples of their student’s strength and weaknesses to their parents during teacher-parent meetings. 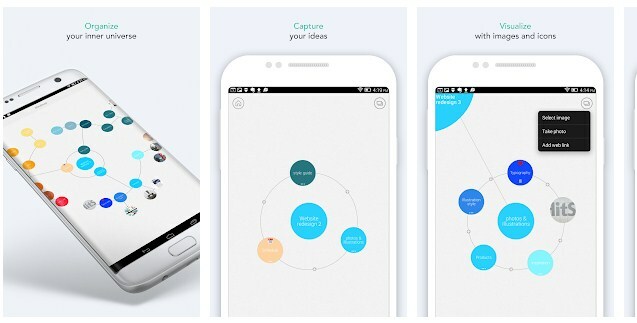 Parents can see their kid’s achievements with this app always. This app is one of the best apps for teachers. ClassDojo app is great for communication for teachers, students, and even parents. 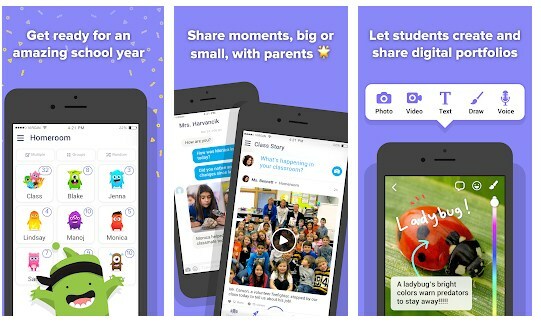 With this app, parents can see their kid's classroom experiences by sending and sharing photos, videos, and even announcements. Teachers can also send messages to parents via this app. This app comes with so many benefits for everyone i.e. teachers have access to teaching tools like group maker, timer, the radio, pair share, directions, and more while students can create their own digital portfolios and share images and parents can see what their child is learning in the classroom. 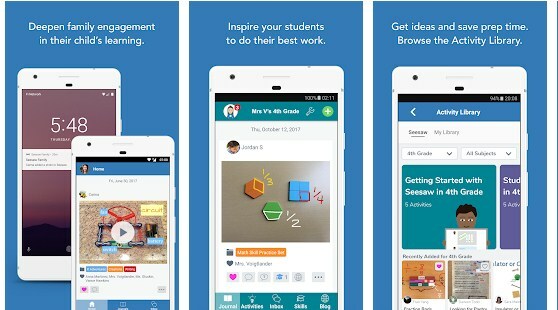 This app is good for teachers because with it teachers can track students’ action, behaviors and achievements in the classroom and allows them to communicate with parents through any mobile device. This is a great app for teachers who need to keep track of student’s behavior. Educreations is an app that has a whiteboard and a screencasting tool which is very easy to use and control. This is a visual-learning app whereby teachers have the opportunity to create and show short instructional videos and share the videos with students with ease. Teachers can also ask students to show what they’ve learned as well as help their fellow students with learning. With this app, teachers can give instruction to students even outside the classroom, controls the pace of their learning, tutor them and gain insights on their learning. This app has great features like audio recordings, handwriting/drawing, animated images, writing over pages, editing recording mistakes, saving drafts to use later on, and more. Teachers can video chat with students which is a good way of tutoring sessions through this app. This app also helps students in the classroom stay informed by updating courses and content, taking assignments and tests from students, grading courses, participation, etc. 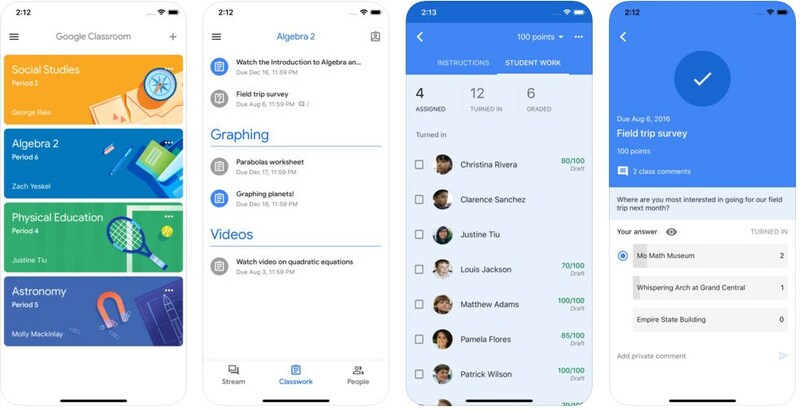 It gives teachers the chance to start discussions for gaining students’ inputs on lesson questions, state announcements such as test dates or assignment deadlines, and even give the student’s grade via this app. It is also a good app for managing homework. Math is one of the toughest subjects to teach students, but this app can guide both the teachers and students into the best math-learning experience. This is a great math app that provides on-the-go access to the app’s video library. Teachers in middle school or even high school can use this app to show students math lessons. The app has tools and gives great opportunities like searching up keywords; viewing lesson video, create a list of favorite videos and much more. This app gives teachers the best tool that will help them to create stunning and organized diagrams, graphic organizers, and outlets. Teachers can produce concept maps, cause and effect diagrams, family trees and more. For teachers who can’t stay organized, this app will help you stay organized. Through this app’s rich writing structures, teachers can write notes and add details to it. Classtree is one of the best apps when communicating with the student’s parents. This app has features like e-signatures, consents, real-time reporting, event reminders, image sharing, etc. Classtree is a safe and easy method to communicate with parents. Teachers don’t have to waste their papers anymore when it comes to signatures because the features in this app help them communicate with parents easily. 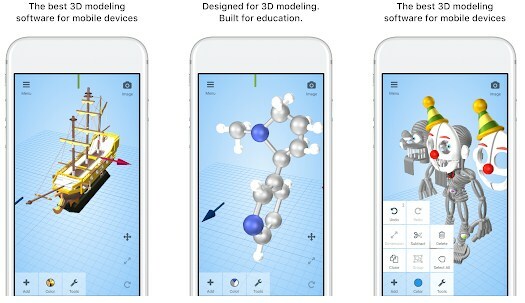 Tinkercad is an app that introduces kids to the mechanics of 3D engineering. With the help of this app, students can start from basic shapes to create 3D models of whatever they like. It is easy to use and has build in lessons. This app can be used by teachers for the purpose of distributing and grading the assignments of students. It is also used by teachers to store the class materials in G drive so that students can have access to the materials in case of urgent requirements. Teachers also use this app to make announcements and they can use it for debates too. With the help of this app, teachers can share valuable information and this can either be a message, quizzes, polls, assignments, calendars, and resources. Teachers and students can share information about contents after school hours. 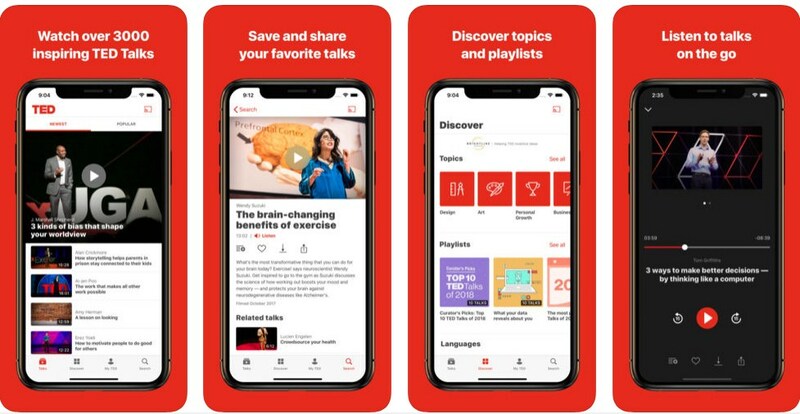 Pocket is an app that allows teachers to take their lectures outside the classroom by saving web contents, videos, and articles related to their lecture subjects. 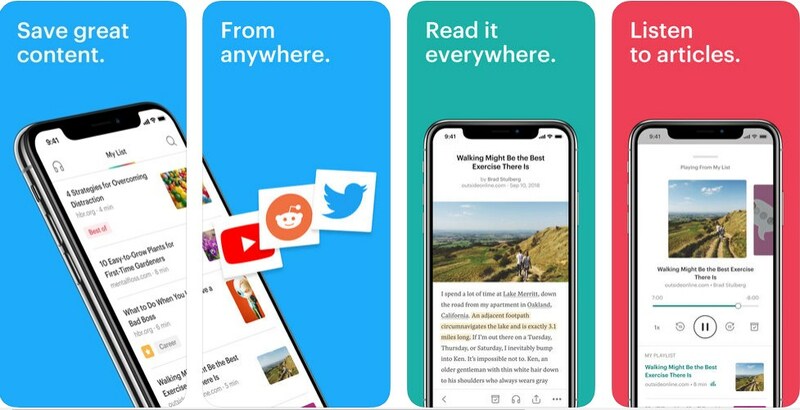 This app allows teachers to view any material that is saved offline and the app presents a layout that improves the reading experience of the students. Dropbox has a feature that allows teachers to upload presentation photos, videos, and assignments. 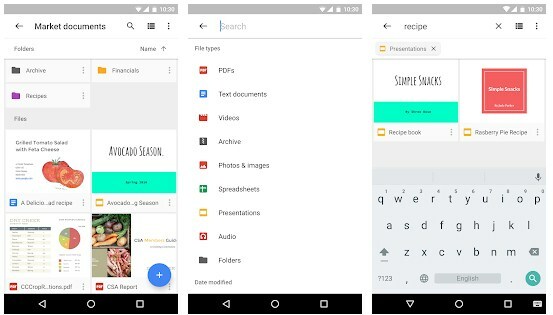 This app helps teachers to create and edit Microsoft Office files in their smartphones and the file links can be shared with students without flooding their inbox with massive files. Ted is used by thousands of teachers who trust ted tools for its ability to change the education system and enrich student engagements with interesting lecture sessions delivered by leading subject matter experts. Ted helps teachers to make the classroom discussions interactive and knowledge-rich experience. This is a note-taking app that helps teachers remove printed handouts for learning outside the classroom. The Doceri app has the means to turn tablets and smartphones into portable whiteboards by taking advantage of the portability and touch screen of the iPad. This app helps with the explanation process of the materials that are on screen and this makes the teaching lesson more interactive. 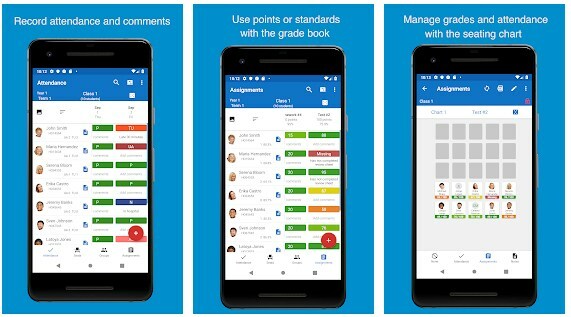 This app allows teachers to take records of attendance, plan the timetable, and calculate the grades of the students in their smartphones or tablets. It is better to keep the class grades, notes, and attendance in an app than in a sheet of paper. This app is used by teachers and students to keep in touch with one another after school hours. It is also used by teachers for the purpose of hosting the text-based office hours on the app platform and can also be used for sending reminders to students in case of emergency. The remind app is used for sending important messages/reminders to students and their parents. The app allows group chats and private messages without the use of phone numbers. It has a feature that allows messages to be translated in more than 70 languages making it possible for teachers to communicate with different parents easily. Nowadays, a Smartphone or a tablet is as important as a backpack for students or college students. There are many apps for students like apps for taking notes, sharing files, recording lectures, citation and bibliography apps, organization apps and social apps. Below is the list of some educational student’s apps that will improve their productivity and learning. 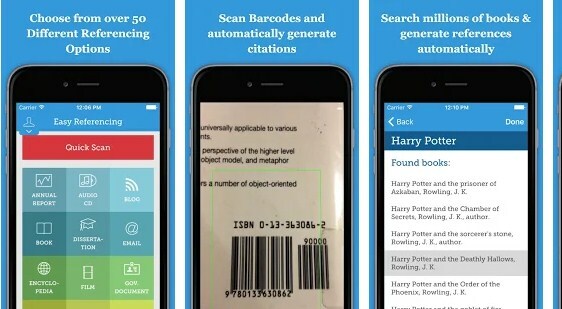 With this app, you can use your phone’s camera to scan a book’s barcode and create a citation formatted in MLA, Chicago, or whatever format your school uses. This app allows a student to upload class study materials, create electronic flashcards to study and share with others, and practice quizzes. Evernote app allows you to capture a note or memo in any format. It is a notetaking app for students. It is used by both students and teachers. 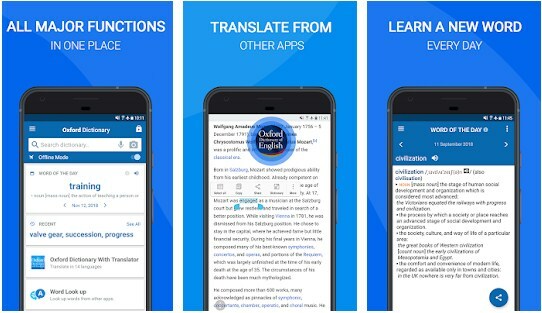 The famous dictionary also has an app which students can download on their smartphones or tablets. 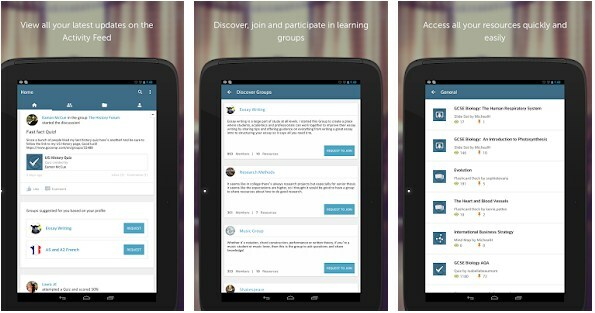 This app aid students in the learning process. With this app, students have access to learning resources like Mind Maps, Flashcards, Quizzes, Slides and notes. They can also use this app for social learning and connect and collaborate with friends, classmates, and learners in groups. 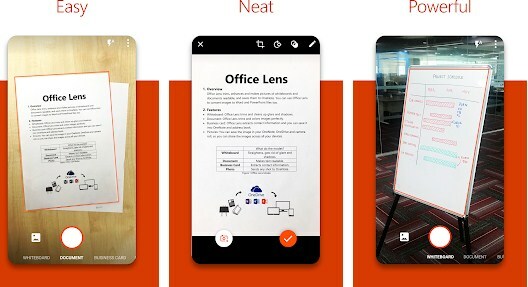 This Microsoft app takes pictures of documents, whiteboards, magazines, blackboards, receipts, and more then converts them into editable shareable text. This app can read Images event from an angle and cleans up glare and shadows too. Available: Android, iOS, and Web. 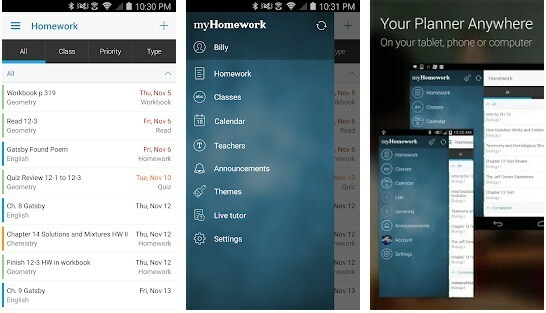 MyHomework Student Planner app allows students to track their classes homework, tests, and projects so that they don’t forget an assignment again. 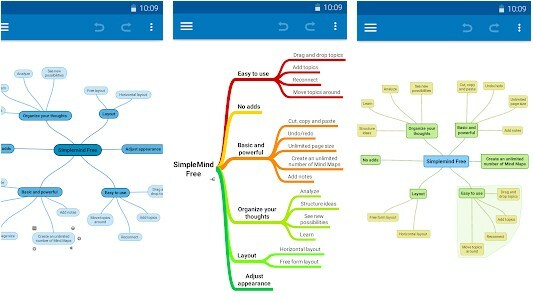 The SimpleMind app helps students to organize their thoughts, generate new ideas and remember things. Get this app on the Google play store and the app store. This app allows you to store and save documents online in case your laptop crashes. 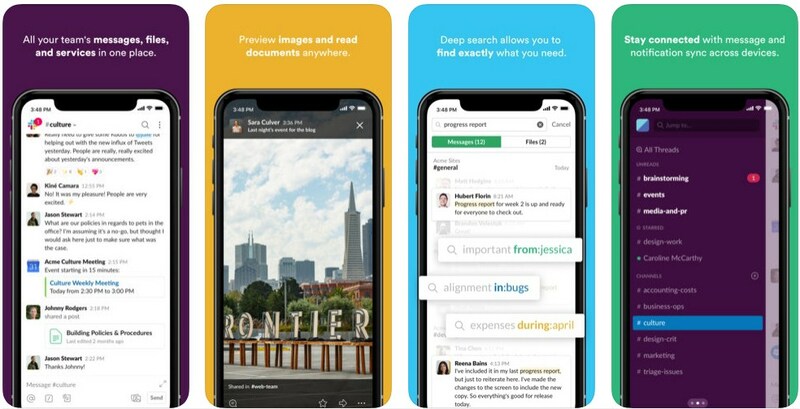 With this app, you can work offline and also share documents with classmates. 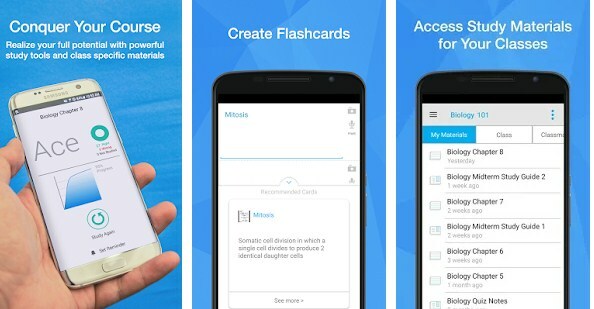 Study flashcards app creates flashcard study aids using a number of different options like text, audio, pictures, and in-app content sharing. 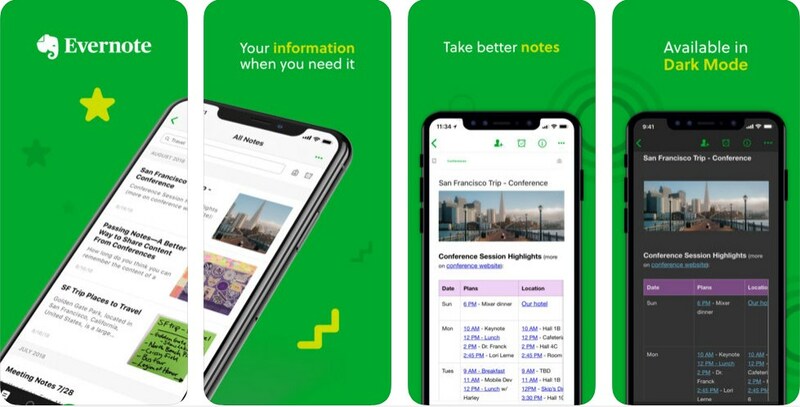 This is an important app for those who are preparing for an exam or has an important presentation. This app has options which allow you to organize your cards, shuffle, exports, listen to and more. Download Study Flashcards app on Google Play Store. One of the first educational institutes where we started learning from is our home. School education develops some subject related knowledge, scientific knowledge, and other skills but we learn moral values and learn how to behave at home. To be successful in life, you need to be educated. Education begins at birth and ends when you die. This simply means that we learn everyday knowingly or unknowingly and can only stop learning when we die. The main purpose of education is to develop a healthy society which possesses the knowledge, rights, awareness, and many other qualities. Whatever we learn through this process stays with us till we pass them to our next generation. A good education helps us and guides us in the right direction. Education is said to have unbelievable powers and the proper and right use of this power can make us wise and responsible.